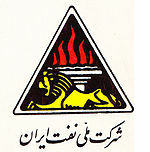 The National Iranian Oil Company (NIOC) (Persian: شرکت ملّی نفت ایران‎ Sherkat-e Melli-ye Naft-e Īrān), a government-owned corporation under the direction of the Ministry of Petroleum of Iran, is an oil and natural gas producer and distributor headquartered in Tehran. It was established in 1948. NIOC ranks as the world’s third largest oil company, after Saudi Arabia‘s state-owned Aramco. and Gazprom. The NIOC is exclusively responsible for the exploration, extraction, transportation and exportation of crude oil, as well as sales of natural gas and liquefied natural gas (LNG). Having provided the domestic refineries and manufacturing plants with crude oil required for the petroleum products, the NIOC exports its surplus production according to commercial considerations in the framework of the quotas determined by the Organization of Petroleum Exporting Countries (OPEC) and at the prices prevalent in the international markets. The NIOC also signs some long term contracts on “buy-back” basis with foreign companies in order to exploit national oil fields and export its products. The NIOC exports natural gas and liquefied natural gas via the “National Iranian Gas Export Company”. Recoverable liquid hydrocarbon reserves in early 2005, 136.99 billion barrels (21.780 km3) 10% of world’s total. Recoverable gas reserves in early 2005, 28.17×1012 m3 (15% of world’s total). Current NIOC production capacities include over 4 million barrels (640×103 m3) of crude oil and in excess of 500 million cubic meters of natural gas per day. In 2008, the average extraction cost of oil was less than $5 per barrel. This does not include processing (refining) and distribution costs. Iran’s cumulative oil production has reached to 61 billion barrels (9.7×109 m3) by the end of 2007, most of these volume produced after 1951, under the supervision of NIOC. Iran’s overall export crude oil was valued at US$85 billion in 2010. The Shah opens the facilities of International Naval Oil Company of Iran in 1970. In May 1901, William Knox D’Arcy was granted a concession by the Shah of Iran to search for oil, which he discovered in May 1908. This was the first commercially significant find in the Middle East. In 1923, Burmah employed future Prime Minister, Winston Churchill as a paid consultant; to lobby the British government to allow APOC have exclusive rights toPersian oil resources, which were successfully granted. In 1935, Rezā Shāh requested the international community to refer to Persia as ‘Iran’, which reflected in the name change of APOC to the Anglo-Persian Oil Company (APOC). Following World War II, Iranian nationalism was on the rise, especially surrounding the Iranian natural resources being exploited by the foreign companies without adequately compensating Iranian taxpayers. APOC and the pro western Iranian government led by Prime Minister Ali Razmara, initially resisted nationalist pressure to revise AIOC’s concession terms still further in Iran’s favour. In March 1951, Ali Razmara was assassinated; and Mohammed Mossadeq, a nationalist, was elected as the new prime minister by the Majlis of Iran. In April 1951, the Majlis nationalised the Iranian oil industry by unanimous vote, and the National Iranian Oil Company (NIOC) was formed, displacing the APOC. The APOC withdrew its management from Iran, and organised an effective worldwide embargo of Iranian oil. The British government, which owned the APOC, contested the nationalisation at the International Court of Justice at The Hague, but its complaint was dismissed. By spring of 1953, incoming US President Dwight D. Eisenhower authorised the Central Intelligence Agency (CIA), to organise a coup against the Mossadeq government, known as the 1953 Iranian coup d’état. In August 1953, the coup brought pro-Western generalFazlollah Zahedi as the new PM, along with the return of the Shah Mohammad Reza Pahlavi from his brief exile in Italy to Iran. The anti-Mossadeq plan was orchestrated under the code-name ‘Operation Ajax‘ by CIA, and ‘Operation Boot’ by SIS (MI6). In 1954, the APOC became the British Petroleum Company. The return of the shah did not mean that British Petroleum would be able to monopolise Iranian oil as before. Under the pressure from United States, British Petroleum reluctantly accepted membership in a consortium of companies, founded in October 1954, to bring back Iranian oil to the international market. It was incorporated in London as a holding company called ‘Iranian Oil Participants Ltd‘ (IOP). The founding members of IOP included British Petroleum (40%), Gulf (later Chevron, 8%), Royal Dutch Shell (14%), and Compagnie Française des Pétroles (later Total S.A., 6%). The four Aramco partners – Standard Oil of California (SoCal, later Chevron) – Standard Oil of New Jersey (later Exxon, then ExxonMobil) – Standard Oil Co. of New York (later Mobil, then ExxonMobil) – Texaco (later Chevron) – each held an 8% stake in the holding company. All IOP members acknowledged that NIOC owned the oil and facilities in Iran, and IOP’s role was to operate and manage on behalf of NIOC. To facilitate that, IOP established two operating entities incorporated in Netherlands, and both were delegated to NIOC. Similar to the Saudi-Aramco “50/50” agreement of 1950,the consortium agreed to share profits on a 50–50 basis with Iran, “but not to open its books to Iranian auditors or to allow Iranians onto its board of directors”.The negotiations leading to the creation of the consortium, during 1954-55, was considered as a feat of skillful diplomacy. In Iran, IOP continued to operate until the Islamic Revolution in 1979. The new regime of Ayatollah Khomeini confiscated all of the company’s assets in Iran. According to the company’s Web site: The victory of the Islamic revolution annulled the Consortium Agreement of 1954 and all regulations pertaining to it. The taking of power by the Islamic Republic led to the withdrawal of foreign employees from Iran’s oil industry; domestic employees took full control of its affairs. According to OPEC, NIOC recoverable liquid hydrocarbon reserves at the end of 2006 was 1,384 billion barrels (2.200×1011 m3). NIOC oil reserves at the beginning of 2001 was reported to be about 99 billion barrels (1.57×1010 m3),however in 2002 the result of NIOC’s study showed huge reserves upgrade adding about 317 billion barrels (5.04×1010 m3) of recoverable reserves to the Iranian oil reserves. After 2003 Iran has made some significant discoveries which lead to addition of another 7.7 billion barrels (1.22×109 m3) of oil to the recoverable reserves of Iran. The vast majority of Iran’s crude oil reserves are located in giant onshore fields in the south-western Khuzestanregion near the Iraqi border. Overall, Iran has 40 producing fields – 27 onshore and 13 offshore. Iran’s crude oil is generally medium in sulfur and in the 28°-35 °API range. As at 2012, 98 rigs are in operation in onshore fields, 24 in offshore fields and a single rig is in operation in theCaspian Sea. Iran plans to increase the number of its drilling rigs operating in its onshore and offshore oilfields by 36 units to reach 134 units by March 2014. Iran began in 2006 with plans to create a global strategic petroleum reserve with the construction of 15 crude oil storage tanks with a planned capacity of 10 million barrels (1,600,000 m3). The storage capacity of oil products in the country is around 11.5 billion liters (2011), but it will reach 16.7 billion liters by the end of theFifth Five Year Development Plan (2010-2015). 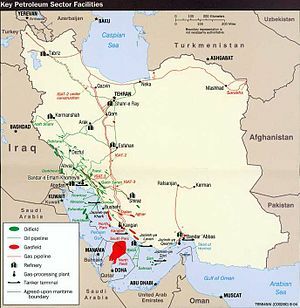 As of 2012, Iran is capable of storing crude oil in the Persian Gulf for a period of 10–12 days. The figure should hit 30–40 days after the construction of new storage facilities are completed. NIOC holds about 1,000×1012 cu ft (28,000 km3) of proven Natural gas reserves of which 36% are as associated gas and 64% is in non associated gas fields. It stands for world’s second largest reserves after Russia. NIOC’s ten biggest Non-Associated Gas Fields. Since 1995, National Iranian Oil Company (NIOC) has made significant oil and gas discoveries, standing for some 84-billion-barrels (1.34×1010 m3) of oil in place and at least 175×1012 cu ft (5,000 km3) of gas in place, which are listed below. NIOC Oil Discoveries Since 1995. NIOC Natural Gas Discoveries Since 1995. It is its highest decision marking body, determining the company’s general policy guide lines, and approving the annual budgets, operations and financial statements and balance sheets. The company’s Board of Directors has the authority and major responsibilities to approve the operational schemes within the general framework ratified by the General Assembly, approve transactions and contracts, and prepare budgets and Board reports and annual balance sheets for presentation to the General Assembly. The Board supervises the implementation of general policy guidelines defined by the General Assembly, and pursues executive operations via the company’sManaging Director. With appropriate division of tasks and delegation of responsibilities to subsidiaries- affiliates, NIOC has been able to establish acceptable degrees of coordination within its organizational set up. In fact, NIOC’s Directors act primarily in policy making and supervision while subsidiaries act as their executive arm in coordinating an array of operations such as exploration, drilling, production and delivery of crude oil and natural gas, for export and domestic consumption. Iranian Offshore Oil Company(IOOC) in charge of offshore oil fields in the Persian Gulf offshore oil and gas fields with the exception of South Pars. It focuses mainly on production platforms, ancillary facilities, and installations. Central Iranian Oil Fields Company supervises all upstream activities in the central oil and gas regions of the country, i.e. everything, excluding the oil-rich southern Khuzestan province, Caspian and offshore. National Iranian Gas Export Co. (NIGEC) in charge of gas exports for the National Iranian Gas Company. Until May 2010, NIGEC was under the control of the NIOC, but the Petroleum Ministry transferred NIGEC, incorporating it under NIGC in an attempt to broaden responsibility for new natural gas projects. See also: Persian pipeline and Peace pipeline. National Iranian South Oil Company(NISOC) in charge of onshore oilfields in southern Iran. Focuses on onshore upstream activity in the province of Khuzestan. As Khuzestan is the main oil and gas-producing province, this entity is among the most significant in the NIOC family. It produces approximately 80 percent of all crude oil produced in Iran. National Iranian Central Oil Company supervises all upstream activities in the central oil and gas regions of the country, i.e. everything, excluding the oil-rich southern Khuzestan province, Caspian and offshore. Karoon Oil and Gas Production Company (KOGPC) Operating in Khouzestan, the company operates 538 wells and delivers natural gas to NIGC. Pars Oil and Gas Company (POGC) National Iranian Gas Company does not play a role in awarding upstream gas projects; that task remains in the hands of the National Iranian Oil Company. Pars Oil and Gas Co. is in charge of the offshore North and South Pars gas fields and responsible for awarding the contracts for the different phases. Since 2010, it has been raising capital on the domestic and international markets in order to finance its projects. National Iranian Oil Terminals Company has four transport hubs including facilities on the three islands of Kharg, Lavan and Sirri consisting of 17 jetties capable of berthing tankers of all sizes to lift and export its crude oil that load more than 2,000 oil tankers per year. 2,000 of them dock in Bandar Abbas Port, 1,000 in Khark Island. Iran earned nearly $2 billion in 2009 from bunkering ships in the Persian Gulf (25% market share). Projected bunkering sites by 2015: Bandar Abbas (two sites), Kish, Qeshm, Bushehr, Mahshahr, Assalouyeh, Khark and Chabahar. Fujairah bunkering hub, UAE is Iran’s main competitor in the Persian Gulf. The country’s terminal storage capacity should soar to 100 million barrels by 2015 from the current 24 million barrels. National Iranian Drilling Company(NIDC) in charge of all offshore and onshore drilling activities. NIDC provides more than 90 percent of drilling services needed by the oil companies inside the country. In 2011, NIDC, drilled or completed 192 oil and gas wells, drilled 454 thousand meters of wells and provided more than 8 thousand expert or technical services to customers. As at 2012, 123 drilling rigs are in operation in Iran’s offshore and onshore. Ahwaz Pipe Mills Company manufacturing oil and gas pipes and has a capacity of up to 420,000 tons per year. It operates three plants. National Iranian Tanker Company controls the second largest fleet of tankers in OPEC. Exploration Service Company (ESC) responsible for providing operational services in all facets of exploration and production activities within NIOC onshore regions. Kala Naft (London) Ltd. in charge of carrying out the procurement needs of the NIOC that cannot be met domestically. However, NIOC organizations can in theory also purchase directly from suppliers. Naftiran Intertrade Co. (NICO) (Switzerland) handles trading & swaps operations on behalf of NIOC. Iran has swap arrangements with Azerbaijan, Turkmenistan, and Kazakhstan, under which it ships crude from the Central Asian producers to its Caspian ports. 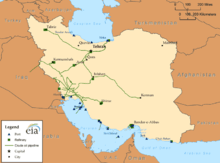 In exchange Iran delivers the equivalent barrels of crude on behalf of the three Central Asian producers to their costumers in the Persian Gulf. In October 2010, Iran asked for the terms of the contract to be re-negotiated because it claims it has lost money because of it. On 2 July 2011, NIOC resumed oil swaps with Caspian states. NaftIran also buys the vast majority of Iran’s gasoline imports. Naftiran is a key player in Iran’s energy sector. Petroiran Development Company(akaPetroIran or PEDCO) General offshore contractor (a subsidiary of Naftiran Intertrade Co.). PetroIran was initially formed to be the Iranian partner of foreign contractors with a 10% share in each buy-back contract. Arvandan Oil & Gas Company (AOGC) responsible for the development of the Arvandan oil & gas fields. AOGC was established in 2004 working as the main operator in oil and gas production from Azadegan, Yadavaran, Darquain, Jufeyr, Moshtagh, Khorramshahr, Arvand, Susangerd, Band-e-Karkheh, Omid and other fields which are located in west of Karun River. Research Institute of Petroleum Industry (RIPI) NIOC will implement 69 research projects between 2010 and 2015 which include topics as enhancing recovery rate, modeling, control and management of reservoirs, production and exploitation, exploration, promotion and technology in drilling operations, establishment of an integrated data bank, industrial protection and environment, optimizing energy consumption, materials and equipments manufacturing, strategic and infrastructure studies, productivity and specialized maintenance. Iran is expected to launch its first gas to liquids (GTL) plant by 2018. See also:Science and technology in Iran. The cost of producing each barrel will rise to $30 or more from $7 in 2012. Iran currently allocates $20 billion a year to develop fields and $10 billion on maintaining output. In the next decade, maintaining production will cost $50 billion, with a similar sum required for development. Although usually neglected and overlooked, Iran also has a number of very active private companies in the oil sector. The growing private sector activity is mainly active in projects involving the construction of oil field units, refinery equipment, tanks and pipelines, as well as engineering. Iranian manufacturers will supply oil industry with $10 billion worth of domestically-made goods and equipment in 2012. Iranian companies are already outperforming foreign firms in South Pars. NIOC produces 60-70% of its industrial equipment domestically including refineries, oil tankers, oil rigs, offshore platforms and exploration instruments. Iran is also cooperating with foreign companies to transfer technology to Iranian oil industry. The objective is to become self-sufficient by 85% before 2015. The strategic goods include onshore and offshore drilling rigs, pumps, turbines andprecision tools. Domestic production of 52 petrochemical catalysts will be started in 2013. Iran owns 50% of the offshore gas field of Rhum in the North Sea, which is Britain’s largest untapped gas field. It is a joint-venture with BP worth $1 million a day at 15 June 2010 spot prices. Iran has another 10% joint-venture participation with BP and other foreign oil companies in Azerbaijani Shah Deniz gas field, producing 8 billion cubic meters of gas per year, worth up to a reported $2.4 billion per year. The Iranian entity with which BP has partnered in these ventures is the Swiss-based Naftiran Intertrade, a subsidiary of NIOC. Shah Deniz is not subject to US sanctions.